These clear, simple, and useful outlines provide easy-to-follow instructions on how to organize and outline your ideas before writing an essay. Each sample outline includes explanations of paragraph and sentence elements like thesis statements, topic and detail sentences, and a conclusion. Outlines are provided for a variety of essay types, and a sample outline for a research paper is included as an added bonus. An essay outline will help you organize your main ideas and determine the order in which you are going to write about them. Writing an outline is a very effective way to think through how you will organize and present the information in your essay. State your point of view and/or present your persuasive argument. Thesis: Competitive swimming is a great alternative to other youth sports. Introduce your primary persuasive argument and provide supporting details. Topic Sentence: Competitive swimming provides the same benefits as other sports. Detail Sentence 1: It is good exercise and builds muscular strength. Detail Sentence 2: It promotes cooperation among team members, especially in relays. Introduce a secondary argument and provide supporting details. Topic Sentence: Competitive swimming provides some unique additional benefits. Detail Sentence 1: Swimming is an important skill that can be used forever. Detail Sentence 2: Swimming poses a reduced risk of injury. Detail Sentence 3: Each swimmer can easily chart his or her own progress. Conclude the essay with a summary of the thesis and persuasive arguments. Introduce the subject of your narrative essay using a thesis statement and a plan of development (POD). Thesis: The first time I participated in a competitive swim meet, I finished in last place. With more focused training and coaching, I was able to finish 2nd in the State Championship meet. Plan of development: I was very disappointed in my results from the first meet, so I improved my training and fitness. This helped me swim better and faster, which helped me to greatly improve my results. Set the scene and provide supporting details. Topic Sentence: I was embarrassed at finishing last in my first competitive swim meet, so I began working on ways to improve my performance. Detail Sentence 1: I spent extra time with my coach and the team captains learning how to improve my technique. Detail Sentence 2: I started running and lifting weights to increase my overall fitness level. Provide additional supporting details, descriptions, and experiences. Topic Sentence: Over time, my results began to improve and I was able to qualify for the state championship meet. Detail Sentence 1: My technique and fitness level made me faster and able to swim longer distances. Detail Sentence 2: I steadily got better, and I began winning or placing in the top 3 at most of my meets. Detail Sentence 3: My results improved to the point that I was able to qualify for the state championship meet. Topic Sentence: With my new confidence, techniques, and fitness level, I was able to finish 2nd at the state championship meet. Detail Sentence 1: I was able to swim well against a higher level of competition due to my training and technique. Detail Sentence 2: I was no longer embarrassed about my last-place finish, and was able to use it as motivation! 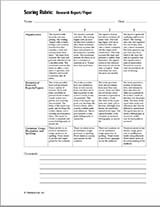 Conclude the essay with a recap of the events described or a reflection on the lesson learned in the story. Concluding Sentence: I used my last-place finish in my first competitive swim meet as motivation to improve my performance. Introduce the subject of your descriptive essay with a thesis statement covering the person, place, object, etc. you are writing about. Thesis: The Hockey Hall of Fame is full of sights, sounds, and experiences that will delight hockey fans of all ages. Set the scene and provide factual details. Topic Sentence: The Hockey Hall of Fame is located in Toronto, Canada and features exhibits from amateur and professional hockey. Detail Sentence 1: The Hall is located in downtown Toronto and is visited by 1 million people every year. Detail Sentence 2: You can see exhibits ranging from the early beginnings of the sport to the modern NHL and Olympics. Provide additional sensory details, descriptions, and experiences. Topic Sentence: There are many types of exhibits and shows, including activities you can participate in. Detail Sentence 1: Player statues, plaques, and jerseys decorate the walls in every room of the Hall. Detail Sentence 2: Many of the exhibits have movies and multimedia activities that make you feel like you're part of the game. Detail Sentence 3: You can even practice shooting pucks on virtual versions of some of the game's greatest goalies! Conclude the essay with a paragraph that restates the thesis and recaps the descriptive and sensory details. Concluding Sentence: The Hockey Hall of Fame is an experience that combines the best sights, sounds and history of the game in Toronto. Introduce the primary argument or main point of your essay using a thesis statement and context. Thesis: The school year is too long, and should be shortened to benefit students and teachers, save districts money, and improve test scores and academic results. Other countries have shorter school years, and achieve better results. Describe the primary argument and provide supporting details and evidence. Topic Sentence: A shorter school year would benefit students and teachers by giving them more time off. Detail Sentence 1: Students and teachers would be able to spend more time with their families. Detail Sentence 2: Teachers would be refreshed and rejuvenated and able to teach more effectively. Provide additional supporting details and evidence. Topic Sentence: A shorter school year would save school districts millions of dollars per year. Detail Sentence 1: Districts could save money on energy costs by keeping schools closed longer. Detail Sentence 2: A shorter school year means much lower supply and transportation costs. Detail Sentence 3: Well-rested and happy students would help improve test scores. Provide additional or supplemental supporting details, evidence, and analysis. Topic Sentence: Shortening the school year would also provide many benefits for parents and caregivers. Detail Sentence 1: A shorter school year would mean less stress and running around for parents. Detail Sentence 2: Caregivers would have more balance in their lives with fewer days in the school year. Conclude the essay with an overview of the main argument, and highlight the importance of your evidence and conclusion. Concluding Sentence: Shortening the school year would be a great way to improve the quality of life for students, teachers, and parents while saving money for districts and improving academic results. Loss of trees due to high demand for wood for cooking and heating for tourists. Expeditions provide work for the Sherpas, contributing to the local economy. The Everest outline is based on a research paper submitted by Alexandra Ferber, grade 9.